See that above? 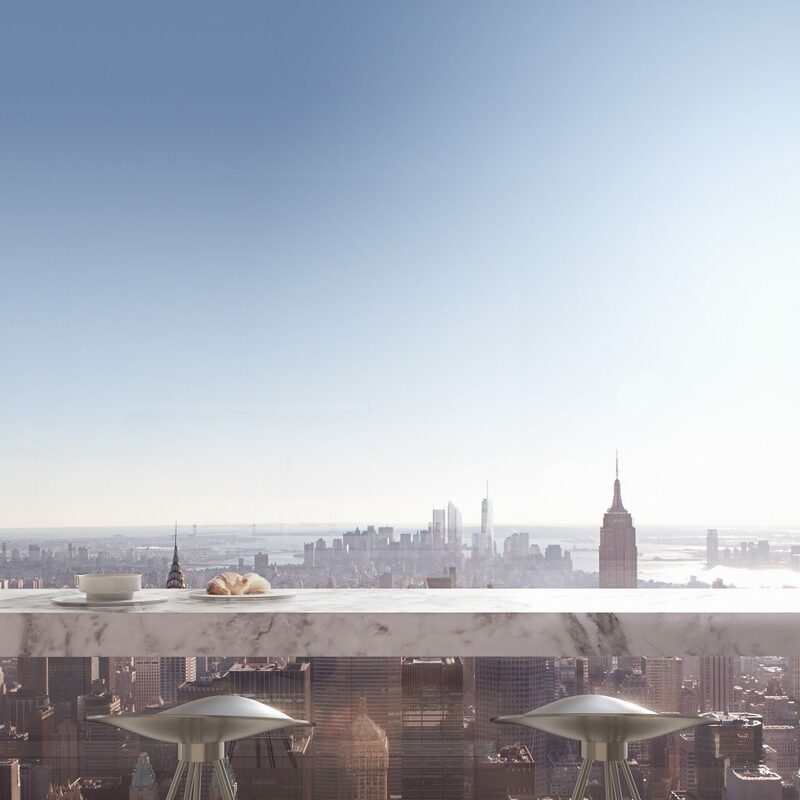 That’s the view from New York’s future tallest tower, 432 Park Avenue, which is officially on the market today. 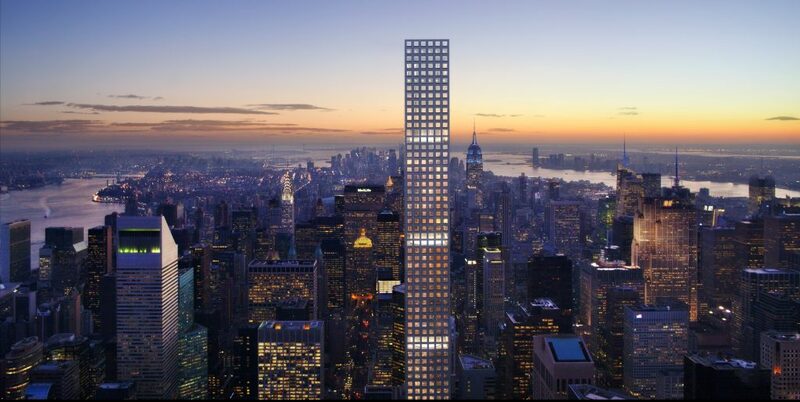 The Rafael Vinoly-designed skyscraper by Harry Macklowe and CIM Group will rise 1,396 feet tall when it is completed in 2015, making it the tallest residential building in the Western Hemisphere. A third of the 126 units are already in contract, according to the Wall Street Journal. Pricing for available condos ranges from $20 million to $82.5 million, which doesn’t seem so bad once you stop thinking about money. 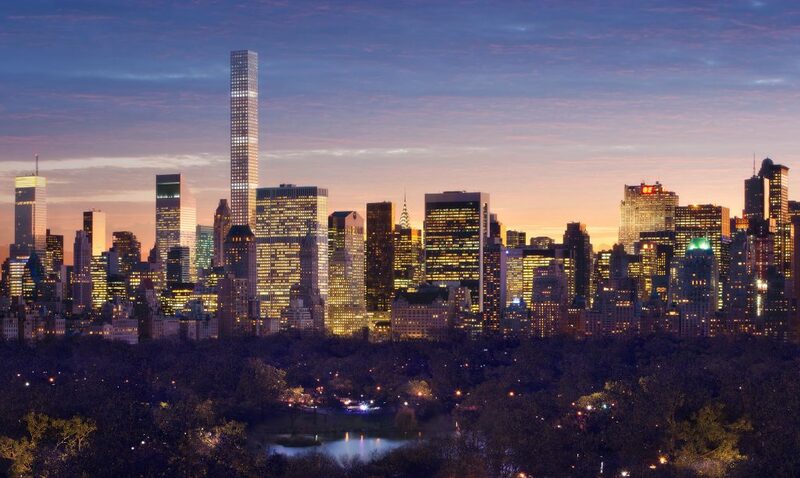 The average asking price at 432 Park is $6,742 per square foot. 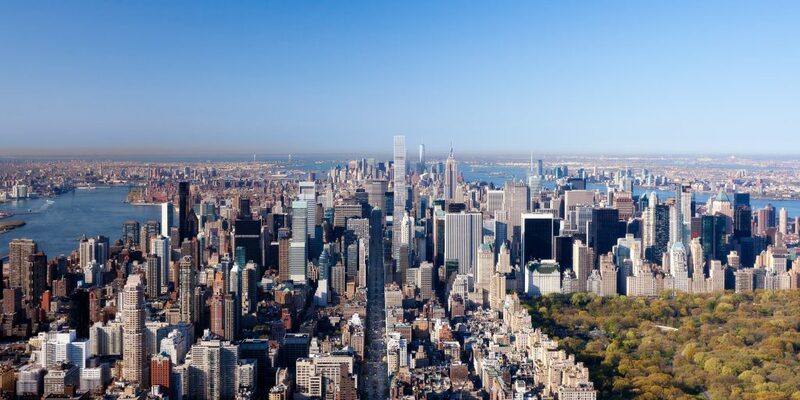 The total asking price for the building’s apartments is $2.7 billion, according to a filing this week with the New York attorney general. That’s a 13 percent increase from July, when units began selling. 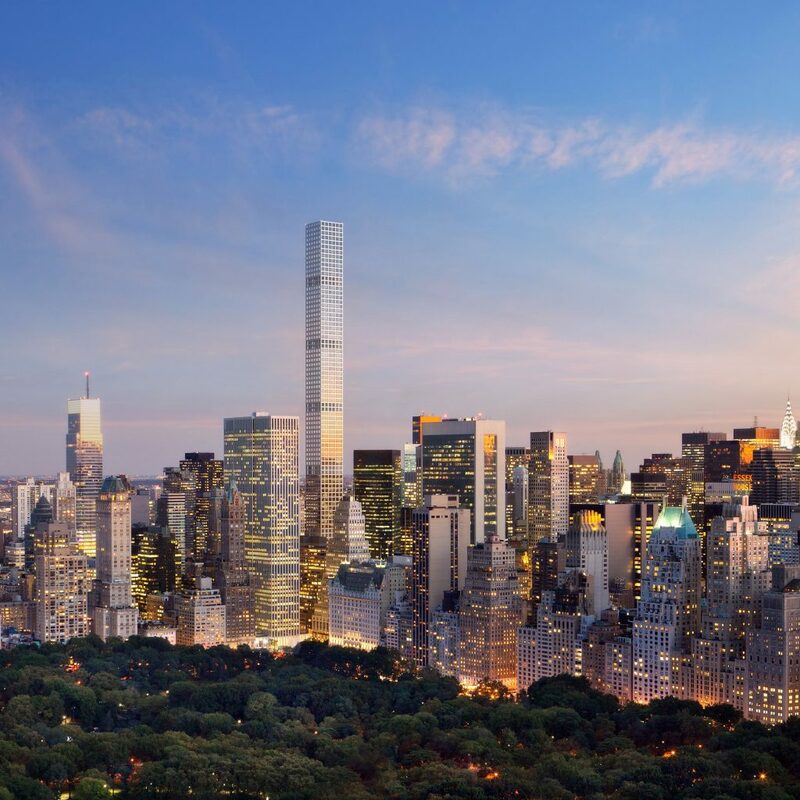 Amenities will include a restaurant, garden, spa, sauna, billiards room, gym, private club with pool, library, conference rooms, screening room, playroom and a semicircular driveway reminiscent of 15 Central Park West. Residents will be able to buy office suites, apartments for staff and temperature-controlled wine cellars that stay below 57 degrees Fahrenheit. If that isn’t sufficiently palpitation-inducing, the official site lets you check out the views at various elevations (our top picture is the vista from 1,271 feet).